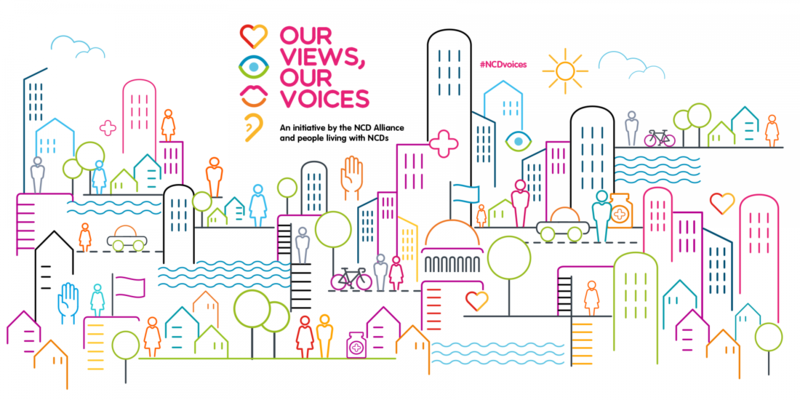 In an effort to elevate the importance of the lived experience in the NCD response, the World Health Organisation Global Coordinating Mechanism on NCDs is hosting a Community of Practice (CoP) on Meaningful Involvement of People living with NCDs (PLWNCDs), facilitated by the NCD Alliance. CoPs are password-protected, virtual safe spaces designed for individuals to exchange knowledge, advance discussions and identify gaps in a multi-stakeholder network related to the implementation of the Global Action Plan, 2013-2020 and achievement of NCD-related targets of the 2030 Agenda for Sustainable Development. Increase knowledge on how to promote meaningful involvement and stimulate advocacy efforts calling for increased meaningful involvement of PLWNCDs. The CoP will result concretely in a public repository of good practices and a global standard on the meaningful involvement of PLWNCDs. In broad terms, this CoP is open to the participation of people living with NCDS, civil society organisations, academia, government representatives and other stakeholders with an interest in meaningful involvement of people living with NCDs. Throughout 2018, the CoP will look to conduct three moderated, time bound virtual discussions engaging a wide range of stakeholders, each preceded by a scene-setting webinar, both open only to CoP members. Apply now to become a member of the CoP on Meaningful Involvement of PLWNCDs and attend the first webinar on 27 June 2018, 12 pm-1 pm British Standard Time and the first moderated virtual discussion from 28 June to 3 July. These events are strategically scheduled just prior to the UN Interactive Hearing on 5 July in New York. They will focus on the UN High-Level Meeting on NCDs (27 Sept) and advocacy to promote meaningful involvement of PLWNCDs, as well as discuss what is meant by ‘meaningful involvement’.